The ACEA 2012 sequences for lubricant claims have been phased out and ACEA 2016 is now mandatory. PMM spoke to Andrew Goddard, Chairman of the Verification of Lubricant Specifications (VLS), to find out what the changes mean for workshops and technicians, and what future changes may lie ahead. Developed by the European Association of Original Equipment Manufacturers, the ACEA specifications indicate a performance standard specifically tailored to the European vehicle market (in contrast to the API or American Petroleum Institute, which is focused on the US vehicle fleet). Along with the SAE, such as 5W-30, they provide essential information for selecting the right oil for a vehicle. Using the right lubricant really does matter. Putting inadequate or incorrect oil in a car or van accelerates wear to gears and bearings, which could lead to increased maintenance costs and significantly shorten the engine’s life. Over the past few years, engine technology has experienced dramatic change. Governments and motorists have demanded engines that deliver lower emissions and increased performance. To operate effectively in these new engines running at higher temperatures with instances of higher pressures and smaller sumps, lubricants have had to adapt. Thinner, less viscous lubricants such as 0W30 and even 0W20 have been developed to perform effectively. The ACEA sequences change to cater to this, being revised every few years. To balance clarity for users with practicality for manufacturers, each set of sequences has a crossover period. From the 1st December 2018, the period of crossover for the 2012 sequences came to an end. 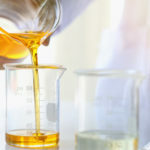 Lubricant products can no longer be marketed if they are making claims against the ACEA 2012 sequences. The 2016 sequences have been mandatory for all new claims since 1 December 2017 and should now be the only claims in operation. These ACEA sequences identify relevant performance standards for lubricants based on the type of engine – usually the ‘A’ series of gasoline or petroleum engines and the ‘B’ series for diesel engines including light vans. Both these ‘A’ and ‘B’ sequences are designed for vehicles not fitted with exhaust after treatment devices. For vehicles that are fitted with either a catalytic converter or diesel particulate filter the ‘C’ sequences apply where ‘C’ represents catalyst compatible. So, a typical series of sequences might be ACEA A3/B4, or alternatively ACEA C3. The exact combination of letters will depend on the engine’s specific requirements and for heavy commercial diesel engines then the ACEA ‘E’ series will apply. ACEA has been working on the next set of revisions, which were due to be published by the end of 2018. However, keeping up with the rate of change is a real challenge. As engine technology evolves with new turbochargers, Low-Speed pre-ignition (LSPI) and other developments, new tests need to be created to ensure lubricants can be categorised correctly. Changes are expected across PV, LGV and HGV categories, to meet the requirements for increased efficiency in both fuel and emissions. The Department for Transport’s ‘Road to Zero Emissions’ strategy published in 2018 will also have an impact. Its ambition is that by 2030 at least half of all new cars will be ultra low emission. As all vehicles come under even greater scrutiny for lower emissions, the right choice of oil to ensure vehicles meet lower emission targets without interfering with any exhaust after treatment devices is crucial. At VLS, our aim is to protect mechanics, workshops and everyone involved in the automotive supply chain by investigating claims regarding lubricants specifications. We ensure that products are correctly described, can deliver what they claim and are fit for purpose. As the industry continues to innovate, we will focus on education to ensure that users can be confident they are stocking and using the correct oils.